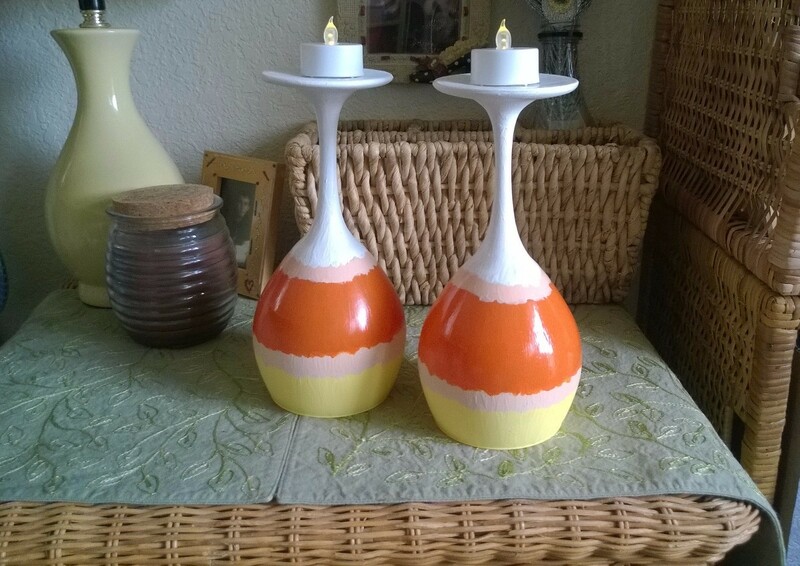 A candy corn motif is perfect for Halloween and general fall decorations. 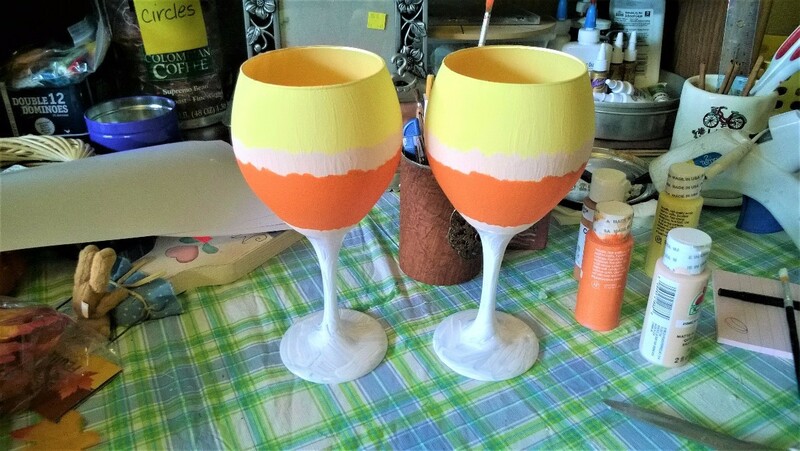 Turn a plain wine glass into a cute unique candlestick. This page offers complete instructions for making candy corn wine glass candlesticks. These are Dollar Tree wine glasses and now they are candy corn candle sticks. In just a few hours you can do this too. Source: I have seen a lot on Pinterest but this is my own. The first thing I did wrong is to use the wrong kind of paint. Don't make that mistake. Use paint made for glass. Mine was for porous surfaces and glass sure isn't. I had to do four coats and I could have used another 1 or 2 so my project took longer than it should have. 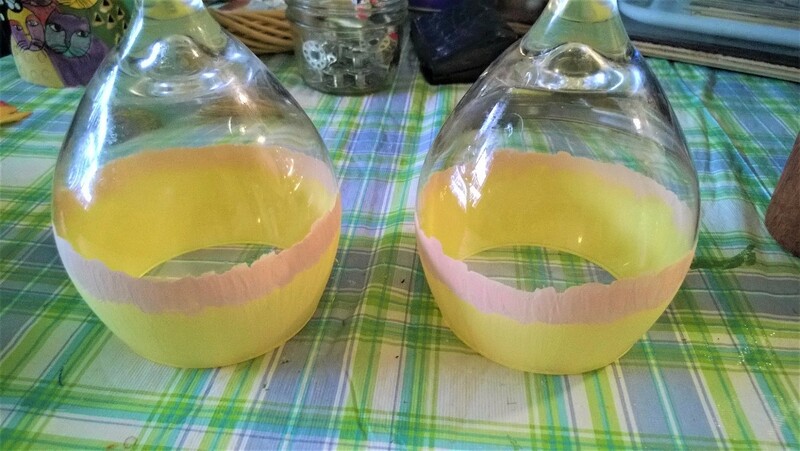 Make your first color yellow at the base of the glass turned upside down. I went about 1/3 up. The next thing I did wrong was think that there needed to be some "blended" color. I won't do that again so next time I won't use the peach. You can if you want though. Paint your orange. Then paint your peach again if you choose. Paint the white all the way up and over the top "bottom" of the glass. 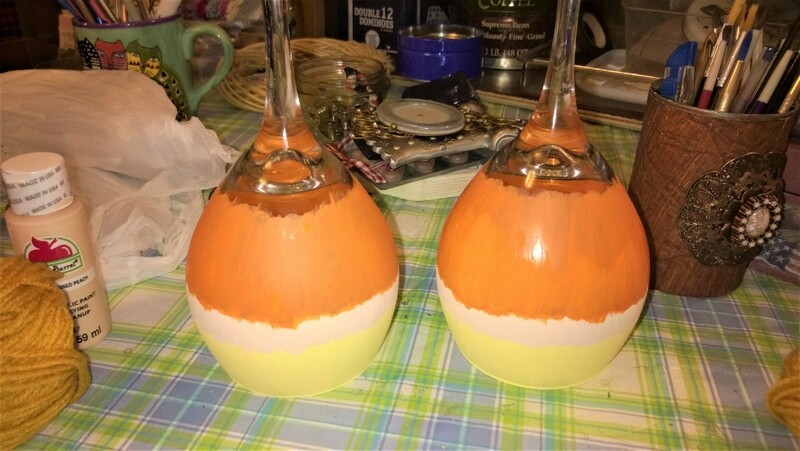 Spray shellac over the entire glass and let dry. Set your faux candles on the top and you are set. N-JOY!